The owners of Ch Distillery did the reverse to London’s COLD and opened up a bar inside their already established distillery. 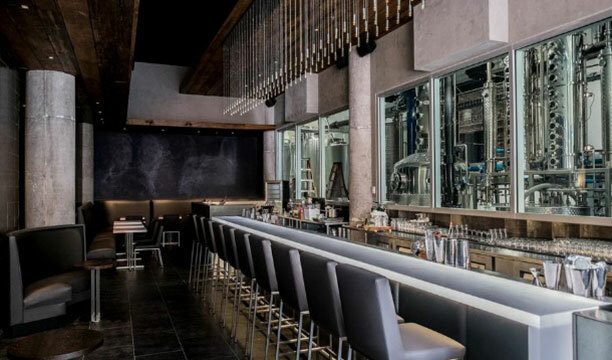 Opened by distiller Tim Atkinson in 2012 with the goal of becoming Chicago’s premiere grain-to-bottle vodka distillery, the bar/distillery has become a firm favourite among Chicago locals and tourists. While the distillery initially focussed on vodka production, it now creates gin, amaro, rum, limoncello, and whiskey which has yet to finish ageing.